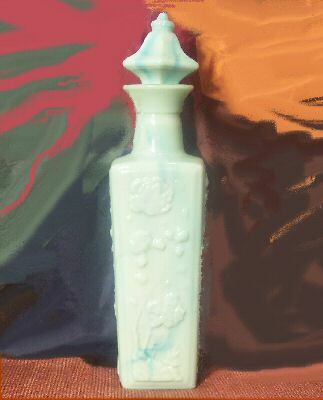 A 1972 Beam's Choice liquor bottle by the Jim Beam company made with a mottled green slag type glass and an oriental design. Marked with the date and a number 10 on the bottom, along with the words Liquor Bottle. It is in perfect condition. 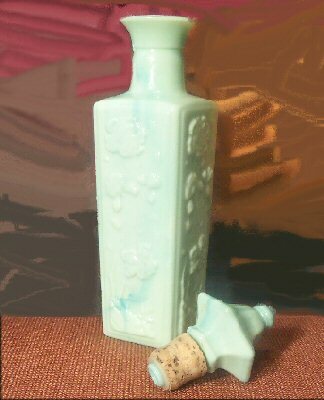 Nice for your whiskey, or could even be used as a vase without the lid.